The Third Cavalry were the first occupants of the new Fort Ethan Allen in 1894. The following link is a good history of Fort Ethan Allen with many pictures. Created by some students of Saint Michael's College in the Fall of 1998. 235A-22 BROWN ALEXANDER J. Cook W M Feb 1861 39 S Massachusetts New York ? 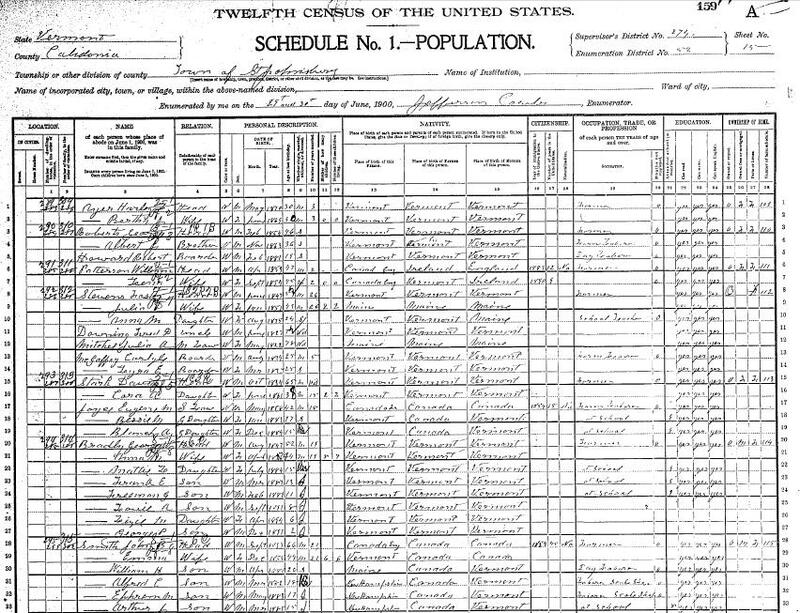 235A-31 CHAREN ABE Private W M Nov 1880 19 S Pennsylvania ? ? 237A-30 DODD GEORGE A. MRS. Wife W F Sep 1862 37 M 20 7 7 DC Connecticut D.C.
237A-31 DODD AGNES E. Daughter W F Mar 1881 19 S ? Pennsylvania D.C.
237A-37 DODD REGINALD R. Son W M Jan 1894 5 S Vermont Pennsylvania D.C.
237A-47 LLOYD EDWARD F. Son W M Nov 1889 11 S ? Virginia ? 237A-48 LLOYD ALBERT T. Son W M Mar 1890 10 S ? ? D.C.
237A-49 LLOYD RICHARD BENNETT Son W M Feb 1893 7 S ? ? D.C.